Although HTC Exodus 1 is probably a more familiar name that many would associate with the concept of blockchain smartphone, Finney is, in fact, the world's first blockchain smartphone. Developed by Sirin Labs, Finney is now commercially available to everyone who can't wait to dabble with cryptocurrency. Originally revealed back in September 2017, Finney's specs and price were announced in May. 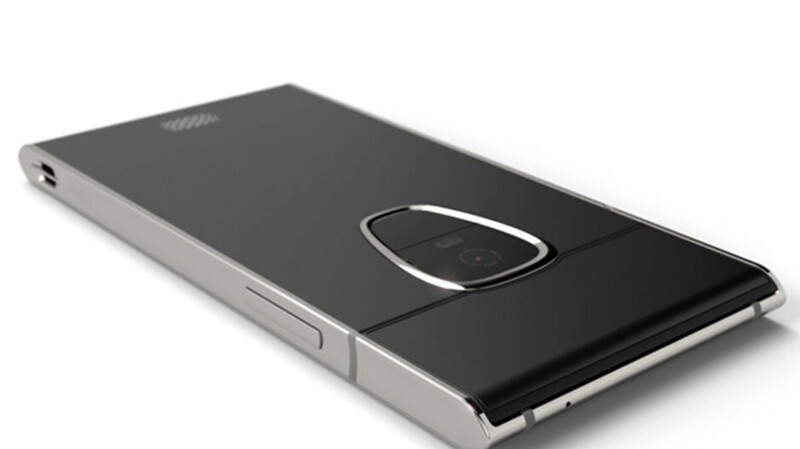 If you've placed a pre-order using the company's Sirin Labs Tokens (SRN), then you already got the phone $100 cheaper, otherwise, you'll have to pay $1,000 for the Finney. After completing a successful crowdsale, partnering with Foxconn and signing Leo Messi as its brand ambassador, Sirin Labs plans to join the Amazon Launchpad program in January 2019, which should allow the company to bring its smartphone into customers' hands much easier. Finney features a high-end hardware configuration that includes a 6-inch display with FHD+ (2160 x 1080 pixels) and 18:9 aspect ratio, a Qualcomm Snapdragon 845 processor, 6GB RAM, and 128GB internal memory. Also, the blockchain smartphone features a 12-megapixel rear-facing camera, an 8-megapixel selfie snapper, and an “ultra-secure” fingerprint sensor. Finney is powered by a 3,280 mAh battery and runs SIRIN OS, an ultra-secure and Google-certified fork of Android. What makes Finney unique is the cold storage cryptocurrency wallet, which isn't connected to the internet to prevent hackers from gaining access to your Bitcoins and to securely generate transactions. Finney embeds a multi-layered cybersecurity suite that comprises of online and offline on-device cyber threat detection, protection from network attacks, host-based attacks, as well as unsecured device definitions. Last but not least, Finney comes with a unique concierge-like service called TCS (Token Conversion Service), which allows users to make crypto transactions for supported coins and tokens without the hassle of exchanges. At launch, TCS will support ETH (Etherium), BTC (Bitcoin), and SRN (Sirin Labs Tokens). 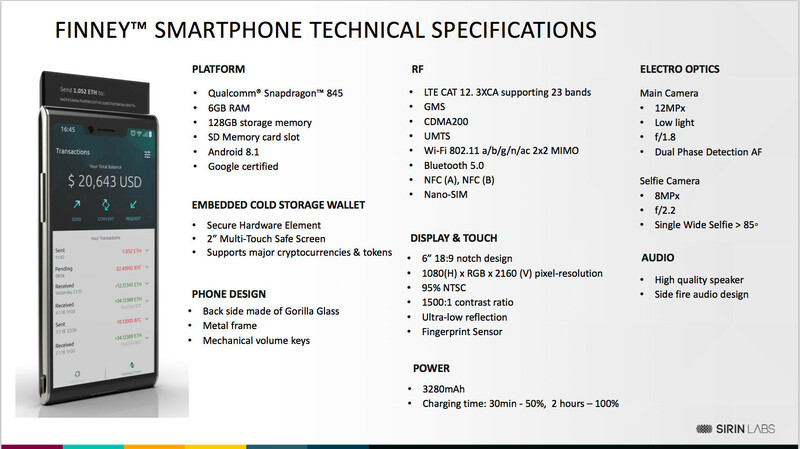 But technical specifications says it's 3280mah battery. That design reminds me of my old shaver.